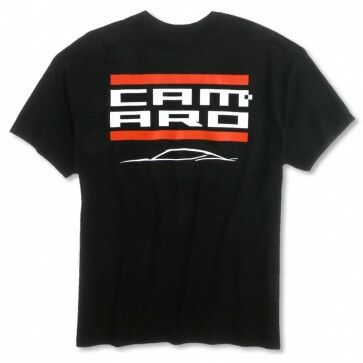 Bold Camaro-stacked lettering punctuated with red borders and accented with a Gen-6 Camaro profile gesture. Pre-shrunk 100% cotton. Imported.